I-PAN project is a 36 months project co-financed by the European 7th Framework Programme of Research and Develoment which aims at providing novel and highly environmental friendly solutions in the field of the engineered wood (EW) based boards. The woodworking industry is a very relevant sector in Europe and the engineered wood (EW) sector is substantially advanced both in terms of higher quality wooden materials and in terms of production and manufacturing and panels and plywood. 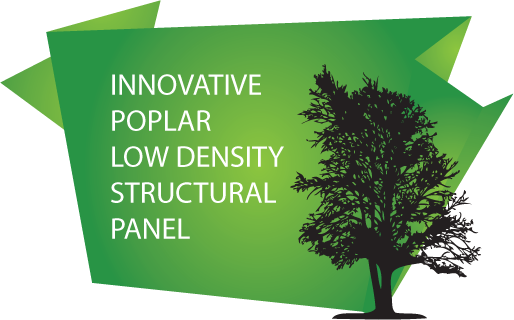 I-PAN stands for INNOVATIVE POPLAR LOW DENSITY STRUCTURAL PANEL and its main objective is the design of a breakthrough wood-made lightweight panel, adopting 50% of its volume recycled wood and for the remaining 50% poplar wood by using the upper part of the tree that is commonly underused. To this purpose, a novel manufacturing process will be designed and innovation to existing resins will be defined in order to require less energy during the drying and pressing process, minimizing VOC emission and reducing the overall cost of production. In order to reach this goal, a consortium of 8 partners, coming from 4 different EU countries (Germany, Greece, Italy and Spain) and including 4 SMEs, 2 large industrial partners specialized in manufacturing wood-made panels and production of poplar made panels, a Research Centre and a University is involved.